Among modern era cricket games, EA sports Cricket 2002 was the first one that became an instant hit among the fans, with its modern visuals and improved sound relative to that age. After that, numerous Cricket games were developed by EA Sports, as well as by other entities. But, none of those games stood a chance of competing with any FIFA game. Cricket games have been less in number and lower in quality, compared to their competitor football games. 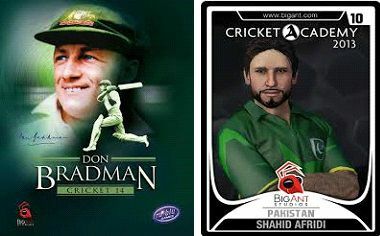 There is no second opinion regarding the immenseness of market of football games as compared to cricket games. However, that couldn’t be used as an excuse for not developing good enough cricket games. After Ashes 07 and EA’s Cricket 07, there have no notable cricket games been brought into the market and what was more dejecting for the cricket fans was the cancellation of Ashes Cricket 2013. But, now in 2014 after a long while a truly awesome cricket game which goes by the name of “Don Bradman Cricket 2014” has been developed and without any contention this has to be the best cricket game ever developed, hence the tardiness in development can be excused. 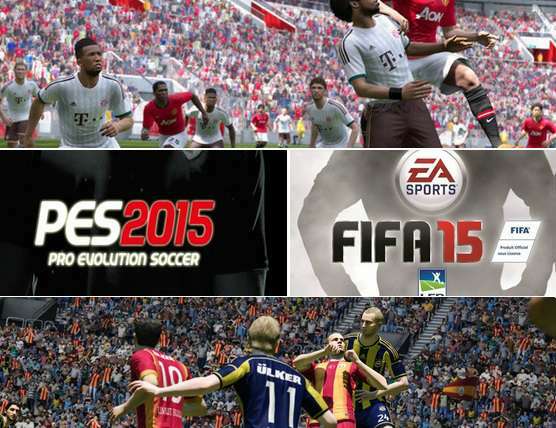 Few features of this game which make it distinguished from its predecessors are listed here. In the previous cricket games, the user could only control the placement of ball and speed but in this game along with these two features bowler could also control the jump while delivering the ball. Only a true cricket fan would know the importance of a long nice run up couple d up with an appropriate jump for delivering a wicket taking delivery. There are few other amazing options for bowlers but all these options have been developed keeping in view the convenience of their usage so that bowling can become more natural and close to reality. One other aspect which will make bowling fans jump in their seat is the incorporation of “degradation of pitch” factor. Just like international cricket, pitch will surely degrade in your Don Bradman Cricket 14.So; beware of batting in 4th innings. 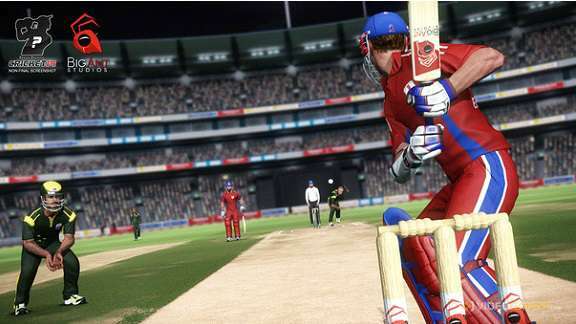 Batting wouldn’t be as easy as in Ashes or EA’s Cricket 07.You will have to sweat for runs but of course there are different levels of game which you can opt for. If you like a bit of a slogging than you can select “amateur” mode but in higher levels of game, batting will become difficult and more professional approach along with practice will be necessary for making your name in the game. Even though DRS couldn’t be implemented in all cricketing affairs, primarily due to the concerns of BCCI, but DRS succeeded in making its way in the newly developed Don Bradman 14.Now,you can question the decisions made by umpires and you will be provided with two DRS options . Yes, just like the fireworks in IPL,CPL and other T20 leagues, Don Bradman Cricket 2014, will let you celebrate your achievements in the fashion you like to. There will be fireworks and most importantly the number of crowd will also be variable. Crowd will depend upon the quality of sides playing and occasion. This trait was nonexistent in the previous versions of the game. How many times have we witnessed that embarrassing moment when an umpire declared a batsman “Not Out” but the batsman knowing that he has edged the ball walked towards the pavilion. You will see many more of such embarrassing moments as the option of standing the ground and walking away is at batsman’s disposal. Such decisions will have impact on umpiring. Bowlers can obviously appeal to umpires. You can create virtually anything in this game. Not only that you can create your own players but you can also create umpires, tournaments, tours and matches. All your fantasies could come alive here. 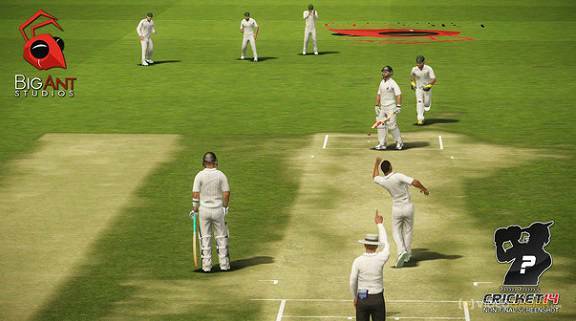 Taking a leaf out of FIFA, Don Bradman Cricket 2014 lets you create and customize your own players. You can alter their looks and accessories. To become a legend, starting from the age of sixteen, you will have to guide your player through 20 seasons. There will be a total of 79 teams, including international and domestic teams of different countries. Forgo the tension of starting an online game from scratch if you abandoned it in the middle. Now you can save and offline as well as an online game.